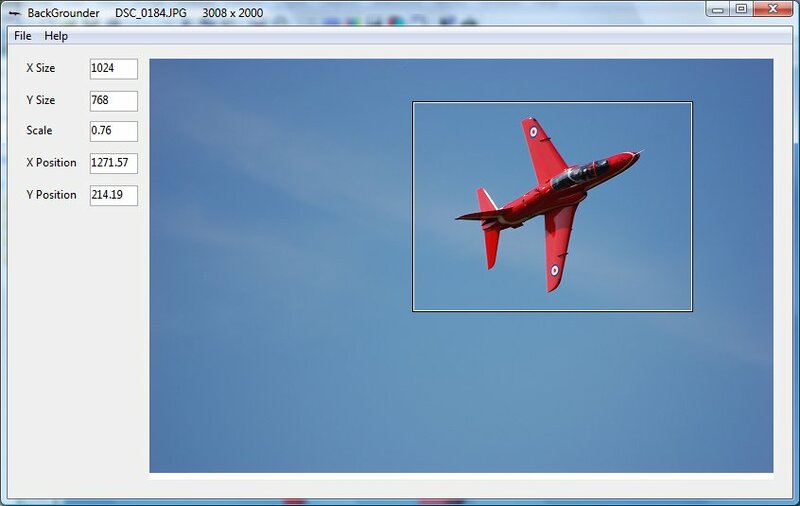 BackGrounder is an application to scale and trim images in one easy operation, to create background pictures for Windows. Enter the X and Y size values for the desired finished picture size. Open a picture file using the Open option from the File menu. Use the Save As menu option to save the selected area of the picture, the picture will be of the selected area and be the size in the X and Y Size text boxes. ...... or roll the mouse wheel to select the area which will be selected. Use the Save As menu option to save the selected area of the picture, the picture will be of the selected area and be the size in the X and Y Size text boxes. OutBack is an advanced in/out board with integration to Outlook or Lotus Notes. Qweas is providing links to Back Grounder 1.0.4 as a courtesy, and makes no representations regarding Back Grounder or any other applications or any information related thereto. Any questions, complaints or claims regarding this application Back Grounder 1.0.4 must be directed to the appropriate software vendor. You may click the publisher link of Back Grounder on the top of this page to get more details about the vendor.